Friday greetings to you! It's Rhonda here today to share a summer themed project with you. 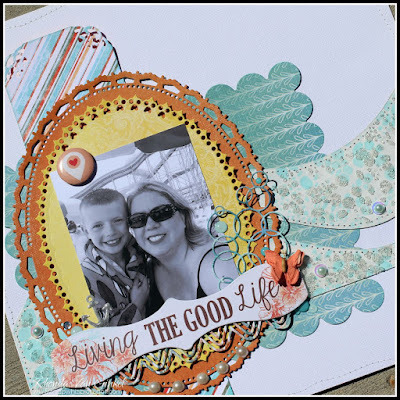 I love the "Living the Good Life" quote that is part of our Catalina Island collection. The colors are so much fun too. 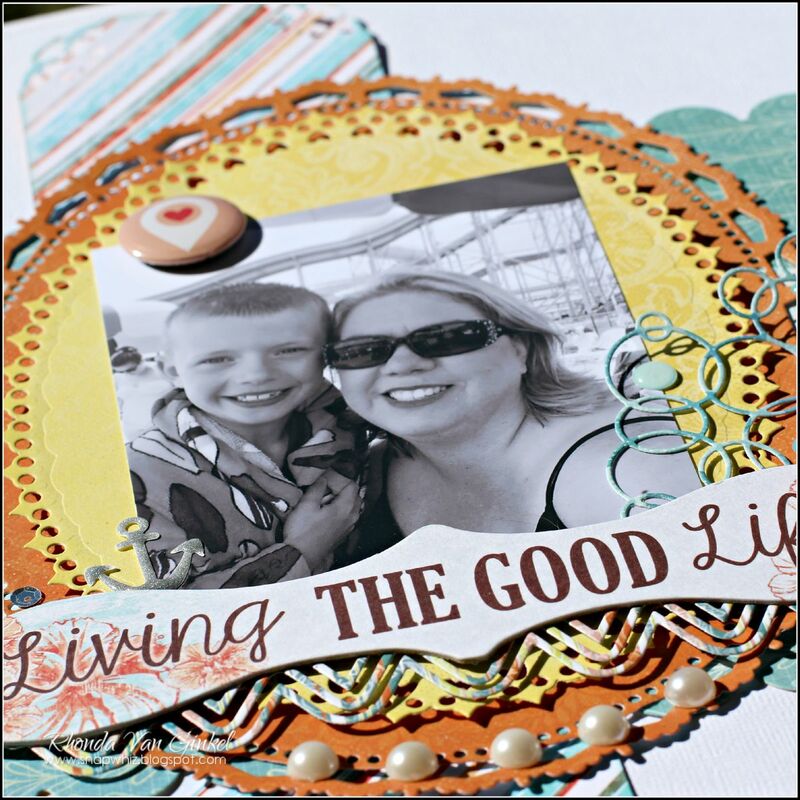 I started with these cute wave pieces of chipboard from the November Club Q last year. I coated them with white gesso, let it dry, then used a stencil and applied the Caribbean Blue PowderPuff Chalk ink to create the illusion of water and movement. After it dried a bit, I then used the same stencil and added some Glass Beads Texture Gel using the same stencil and let it dry. I played around with the colors in a few collections and ended up choosing yellow for the top layer to mimic sunshine, (plus it just makes me happy!). 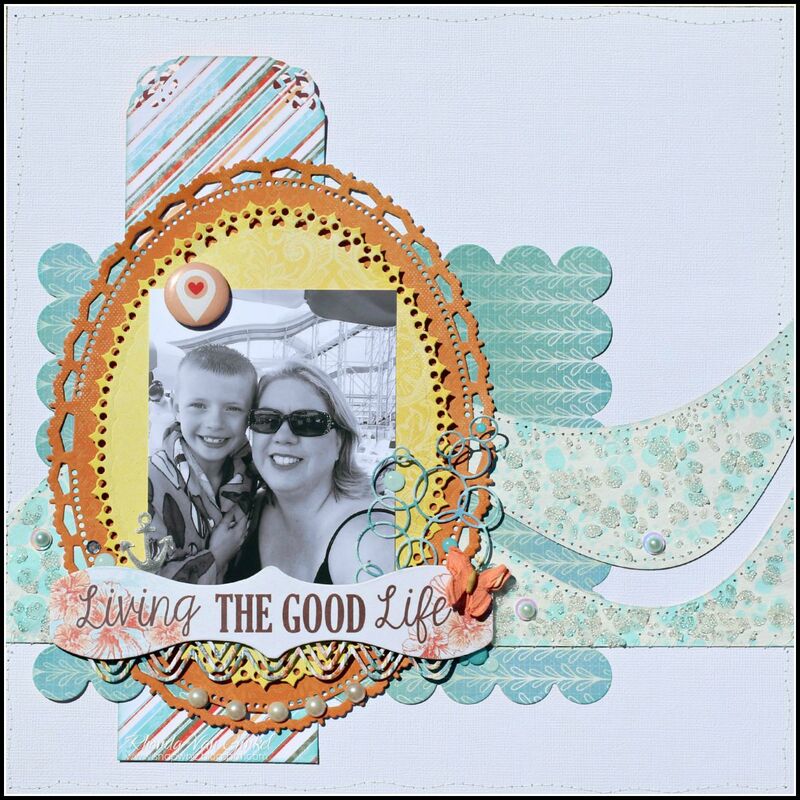 To finish the page I added a few other die cuts, some sequins and pearls. Thanks so much for stopping on over today! Have a super weekend!! !